#TBT to June 4, 2011: Aerial photography and aerial filming Los Angeles work I shot for the awesome Natural Resources Defense Council (NRDC) featuring the equally awesome Laird Hamilton & Gabby Reece. Here is the video the NRDC produced out of my aerial cinematography and aerial photography of the record attempt. 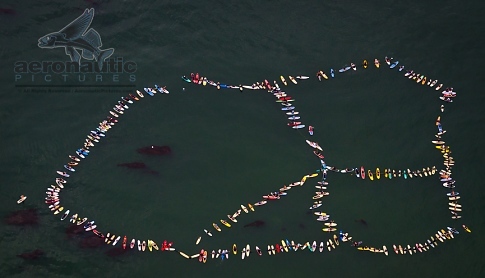 This was a world record setting peace sign created during an extraordinary “peace paddle” in Malibu, California. The weather and light were not great but the goal and people sure were! Now more than ever the work of the NRDC is desperately needed. Please visit nrdc.org to support them as they strive to protect our planet. It was an honor to work for these fine folks and support in some small way their efforts.